For the footer I have the same problem just there's completely white block in the way. I was wondering if there was a way of getting rid of the default background image without getting in the way of the background picture. I would suggest the perhaps more clunky method of not using a transparent image for your header, and simply cut your background image into the required sizes (i.e. including the header part) so it looks smooth, but is actually a number of images joined seamlessly. 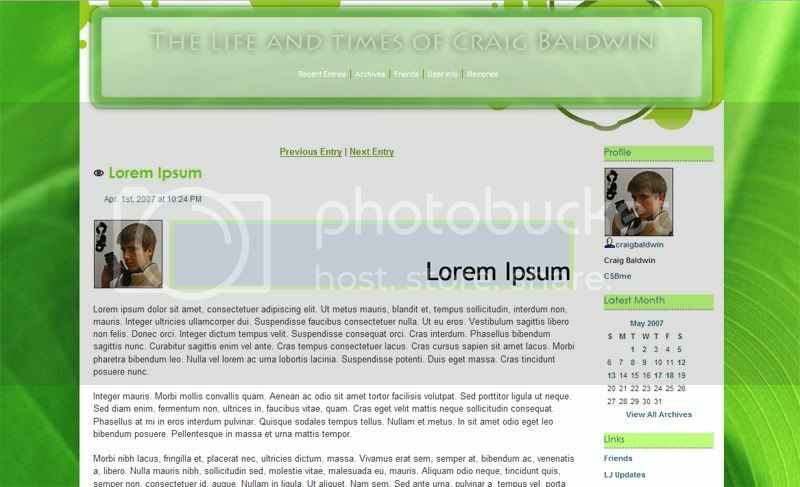 Or even just the header part being a cut-out from the whole image so it blends seamlessly, while hiding the underlying header image of the default layout. Yeah I settled for that in the end but I had to go for a simpler repeating background so that it didn't look weird when scrolled down more.